Even though there are multiple cleaning machines on the market, very few can match the efficiency and perfection of pressure washers. These machines are very effective, especially in eliminating stubborn dirt on your car, furniture or even driveways. 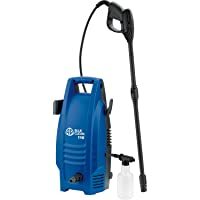 To help you get the best, we have prepared a short review of the top 1500 psi pressure washer models. The AR118 features among the lightest in its class of machines, weighing a mere 11.7 pounds. It incorporates a durable induction motor capable of providing 1500 psi of pressure. This motor runs a 3 axial piston wobble pump that generates 1.5 gallons per minute. 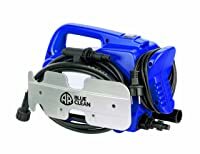 The AR116 is a cold water pressure washer powered by a 120 volts Universal electric motor. It generates 11 Amps of current that runs the 3 axial piston pump. This 1450 psi electric pressure washer features a flow of 1.35 gallons per minute. This is a 1500 psi electric pressure washer that runs on a 120 V/60 HZ maintenance-free motor. It features a Direct-Drive axial pump with a maximum flow of 1.3 gallons per minute. The SPX1000 is a 1450 psi pressure washer perfectly designed to tackle Ideal light to medium duty cleaning tasks. It is powered by a high-performance 11.5 Amps 1400-watt motor. Despite its lightweight and compact design, this remarkable machine has the capacity to deliver a maximum flow of 1.45 gallons per minute. 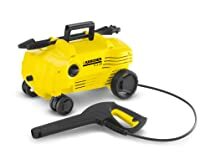 Powered by electricity, this 1500 psi pressure washer provides you with a more compact and light construction. It is perfect for various tasks, such as cleaning of patios, driveways, sidewalks and decks. 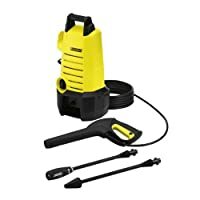 Now that you have effectively familiarize yourself with the top 1500 psi pressure washer models, it would be a high time that you try them out. These are cleaning machines that will provide you with easy handling, great efficiency and above all, great value for your money.